Description : One of the worst snow storms Bradford had seen happened in 1947. The snow was so high in some spots that you could touch the phone lines. 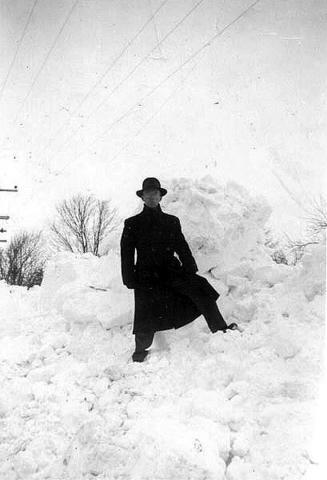 This picture shows Lew Campbell atop one of the drifts, somewhere in the north end of Bradford. Please contact the library (905-775-3328) if you have any additional information about the contents of this photo.